The Adventures of Faith: 4 Months! 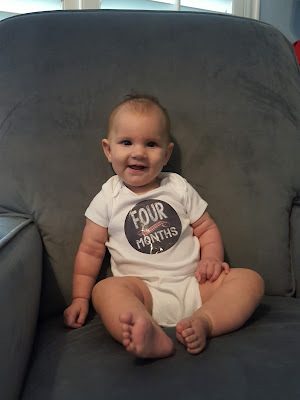 You're 4 months old! Technically we're pushing 5 months at this post, but it's the thought and love behind it right? You're weighing in at 14lbs13oz and are 26.25 inches long. 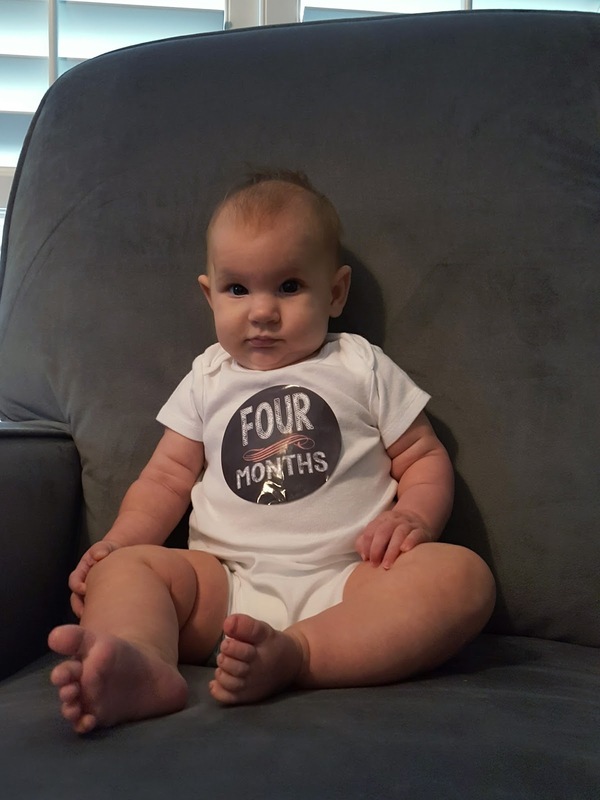 You lost about a pound your first week and a half of daycare with your whole refusal to eat. We thankfully tried all the bottles and finally found one that you like. I'm sure you'll make up for that missing pound in no time. You're also wearing 6 month clothes and size 3 diapers. Aside from not wanting to eat at first you've adjusted really well to daycare. At the end of the month we had one more eval to check your progress with eating and everything else. You did awesome and are right on track with everything. You really took off at the end of this month. You started babbling and cooing to us even more. You've started reaching and grabbing and if you're able to get whatever it is it goes straight into your mouth. Your face lights up when you see one of us, especially your brother. You've rolled from tummy to back twice though we've never seen you do it. We just find you not in the position we left you in. You also roll from your back onto your side, but haven't made it all the way to your tummy. 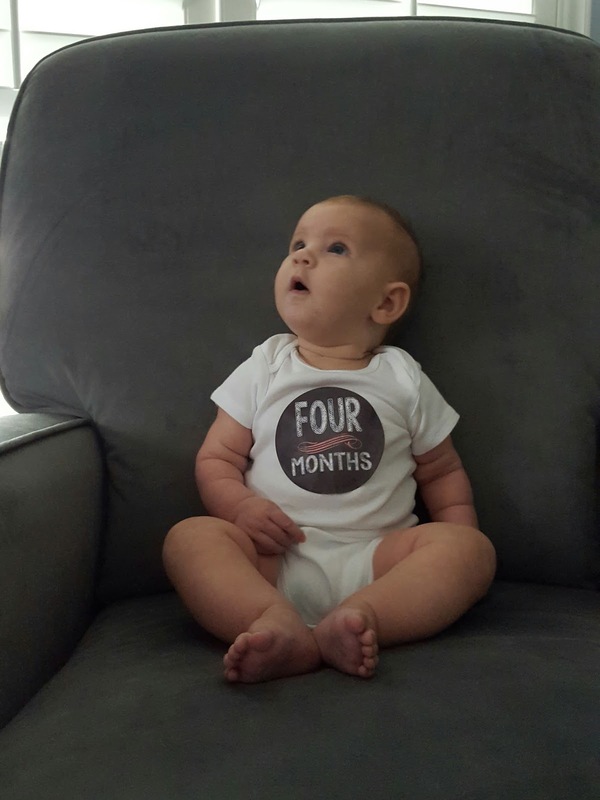 Happy 4 months baby girl!